News has just come in from Bangladesh that a team has been ministering on the ground with one of the most persecuted people groups in the world. Last year when as a team we travelled to Bangladesh the issue of the Rohinga people rose to the worlds attention because they had been displaced and were moving on mass into refugee camps in Bangladesh. A Miracle is taking place as God has opened away for the Rohinga people to hear about Jesus and to encounter the Love and Fire of God. Since 25 August 2017, an estimated 687,000 Rohingya have crossed into Bangladesh fleeing violence in Myanmar’s Rakhine State, increasing the total Rohingya population in Cox’s Bazar to over 898,300. New arrivals are living in spontaneous settlements with an increasing need of humanitarian assistance—including shelter, food, clean water, and sanitation. Additionally, with the rainy season fast approaching, there is an urgent need to continue strengthening preparedness measures and raise awareness among the refugee population regarding potential landslide and flood risks. In order to respond to these risks collectively and comprehensively, Many organization and ministry continues to work closely with the Government of Bangladesh and the humanitarian community. 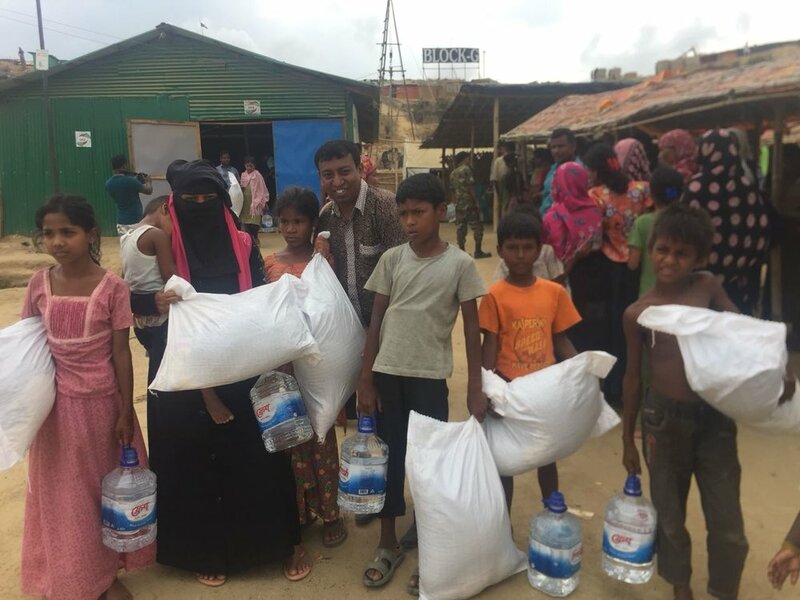 We are continue praying to scale up operations to respond to the needs of new arrivals, existing Rohingya, and affected host communities. • Ensure and sustain timely provision of life-saving and life-sustaining assistance for Rohingya refugees and host communities. • Promote, enhance and strengthen livelihoods and self-reliance opportunities of local host communities and Rohingya refugees through social and economic empowerment, including strengthening of community-based infrastructures such as markets. • Share the hope and peace for everyone who are now living physical & spiritual crisis. • Pray for inner healing and peace. • Pray for reconciliation and restore hope. Appreciate your prayers for our team who are serving there.